Patty and I have been into a lot of ‘bowl’ type dinners lately. Usually a mix of marinated chicken or beef with veggies, fresh herbs, and something citrusy over rice or quinoa. 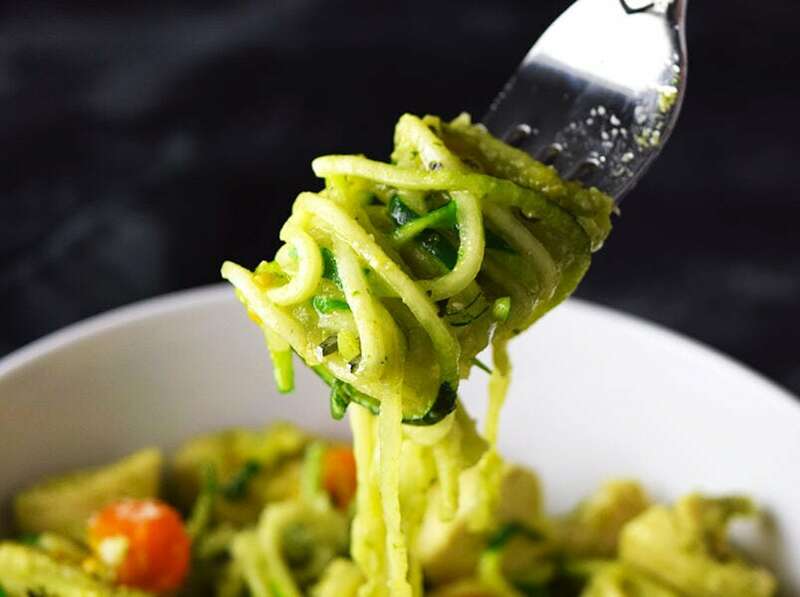 It’s a complete meal with lots of fresh flavors—and seems to be a trendy entree these days. 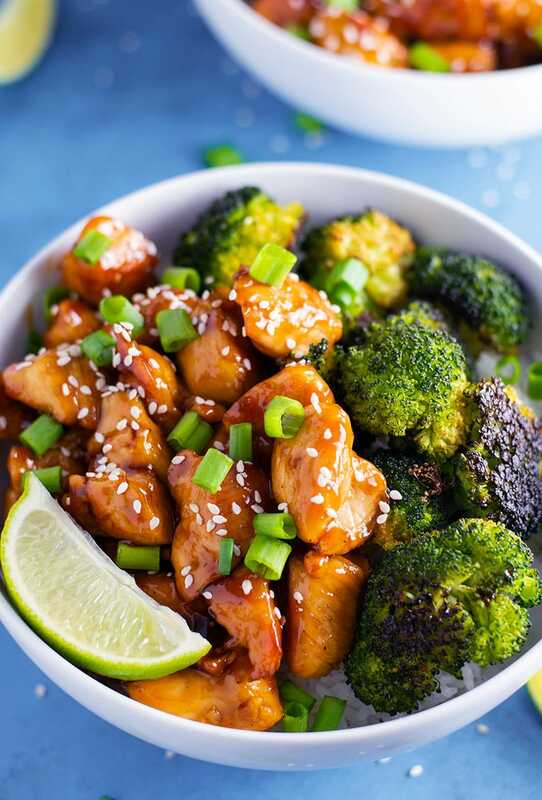 Sure, you could eat a plate of rice, broccoli and chicken on their own, but mixed together with a delicious sauce is ten times as good. 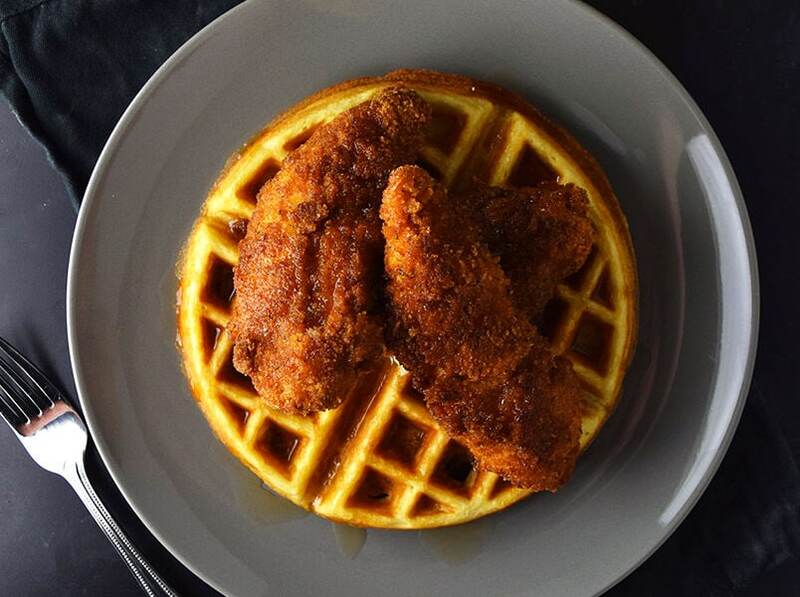 Sweet and spicy chicken is just that. 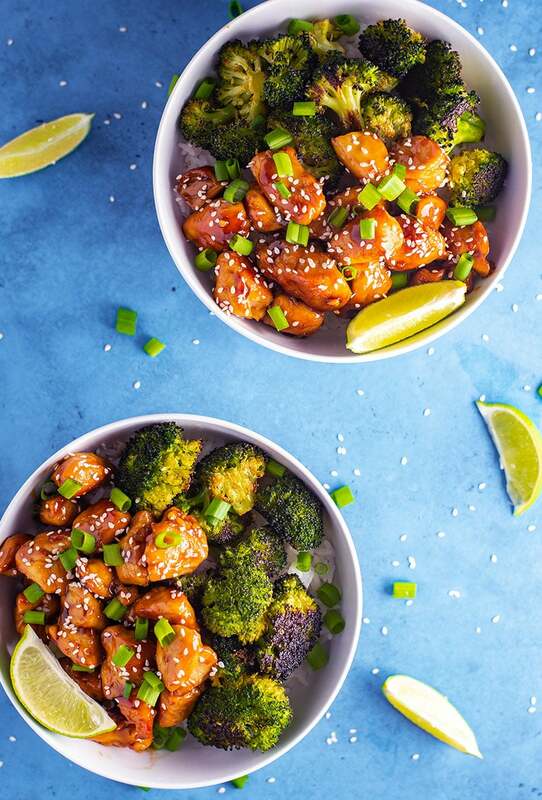 Sweet and spicy chicken and broccoli bowls are an Asian-inspired dinner that may remind you of orange sesame chicken or General Tso’s chicken. 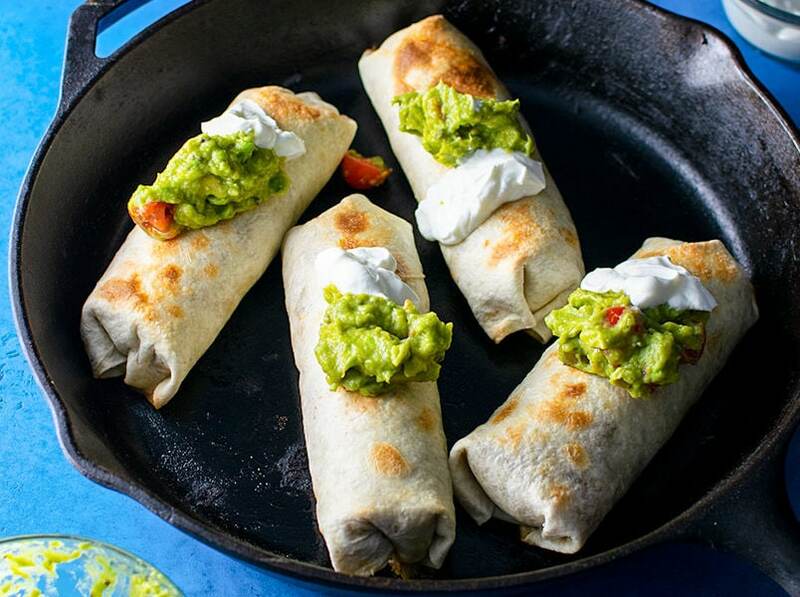 It’s a much healthier, non-fried alternative made with a honey, lime, garlic and sriracha sauce. Instead of steamed broccoli, I prefer roasted broccoli tossed in coconut oil, giving it a subtle coconut flavor. It’s the perfect complementary vegetable to a zesty, tropical chicken. 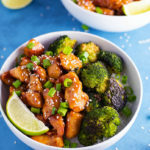 The jasmine rice and broccoli will soak up some of the sweet and spicy sauce—it’s just so good. This is a great recipe to tweak and add in new things. 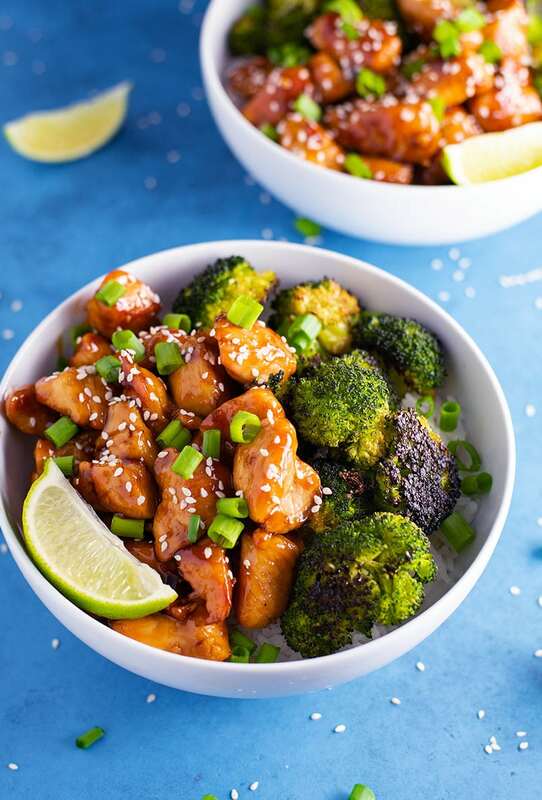 You could substitute cauliflower or brussel sprouts, use brown rice or quinoa, or add in avocado, shredded cabbage or even some cilantro. The options are really endless— it’s really all about the sauce and fresh, REAL ingredients.